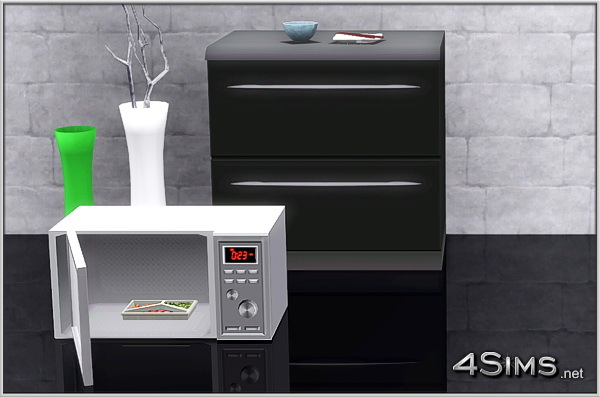 A new premium microwave oven, a must have appliance for any high class kitchen. 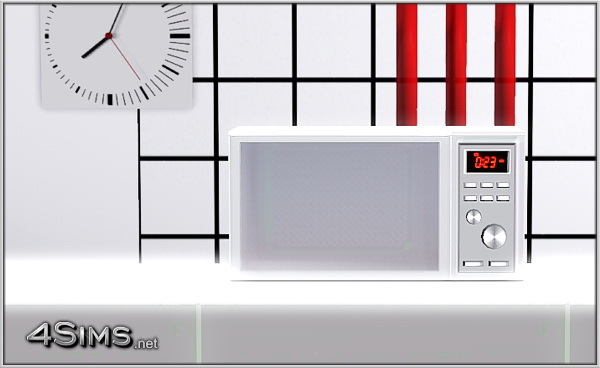 3 recolorable parts, 4 styles included: modern black, elegant gold, retro red and trendy white (the new stainless steel). New custom mesh with 3D buttons, fully functional and base game compatible. 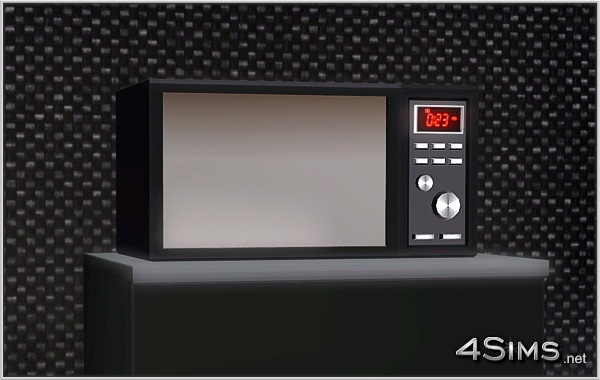 Wow; amazing microwave oven, outstanding, terrific job. Thank you.